Whats wrong with kids...cant they just wait? Like in 3-4 years (when he still is only 22) Madrid or someone great will still want you if you actually worth a damn and you might actually get a chance to play at that age. @The Franchise wrote: Whats wrong with kids...cant they just wait? i would like to see you as a 18 yo prodigy, zidane and mourinho talk to you and tell you they have something in mind for you. how do you say no? Or it creates a years long saga with a club not being able to buy back the talent they already had now that he is established and clubs who don't want to part with their key player. Yeah, I would. Look at Canales and you have all you need to know. Varane isnt going to play a big role next season, you and I both know that. Who cares what lies Mou and Zidane tell you, player has to use your brain. Or at least have an agent actually looking at your best interests as a player rather then how much money you can get now. Yea and on top of that he gets couple millions to his bank account. Player power rules all, if he wants to leave, he will leave. I dont even think he is staying. His mom was worried about playing time and wanted him to chose PSG, but he picked us. my bet is that he is going on loan. And if you really think Varane will get a chance at Madrid then your more delusional then a set of Aston Villa fans. Players also have to take this bet. It might be bad for their development, but on the other hand. What if you get a random injury and never play again? You could have had 5 million in a bank account. Now you don't. If you can go to Real Madrid, be nurtured by Jose Mourinho, have the chance to train with some of the best players in the world, have Zidane as your godfather.... You go. Chance of a lifetime. He might not play, he might ruin his career (although talent = talent, he will get a chance somewhere else), or he might be part of something great. Not to say Madrid is being a bit morally off with doing this constantly, but we at least don't have to buy the young talents we already could have had back for 40 million. Btw, lol at those who constantly say that Mourinho hates youth. 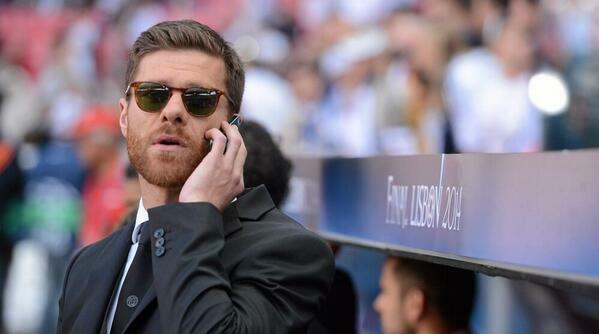 Have you looked at the, hmm lets say, ALL the transfers he did for Madrid? Only one was old. All the others were young, relatively unexperienced players and he has debuted tons of youth players. He has even taken over the cantera. He has other plans for Madrid than simply getting a quick fix of glory for his resume. Mole, if mourinho is choosing to keep Varane then i have little doubt he will get involved. Well at least someone understands, his mother is smart. Look at Sakho, he could of forced a move time ago, he wouldnt of played, he has waited and is now the boss of PSG, whenever he moves, he will command a role in any team. Yeah this isnt an attack on the entire Madrid club....im taking about individual players. All I am saying is, he isnt going to play a big role now, he has to wait. How close were you to losing Higuain and how many times have you guys wanted a true leftback? What about Gago? Khedira isnt a 17-18 year old kid...neither is Di Maria and neither is Ozil.....they stayed at their clubs and played in the first team for many years, became the bosses of their clubs first. Varane hasnt even done that, he has played 25 pro games.......big difference.. This could go bad or good. But remember that Carvalho is old and he is replaceable. So the spot for him is open, only his experience that is blocking it. I think he will bench 1 year and then start or something. Loan him would be the best option. Or he could actually play, we never know. Maybe this guy is talented enough to just play already. I doubt it, especially with Mourinho as coach. Well it doesn't look like he's going to replace Pepe or Ramos anytime soon. He should stay at Lens (loan) for a few more years and become better. Isn't Thiago benched at the moment in Barca? He isn't flopping. We could utilise Varane in the same way as you use Thiago. Thiago looked really good with the Spain u-21, he even was the best of them. Number 1. Thiago played regular football, for the B team. Number 2. This season will be his first season with the first team, if he doesnt play, I will say the same things, he is being wasted. I am talking about playing football, any football, not sitting and watching from the bench.